US futures are trading higher, pointing to a higher open in the stock market today. Stocks had ended yesterday in the negative territory. Investors remain cautious after the Federal Reserve’s January meeting minutes and over future interest rate hikes. The S&P futures advanced 0.35% to 2,708.25, Dow futures rose 0.16% to 24,821 and Nasdaq gained 0.28% to 6,779.50. Elsewhere, shares at Asian markets closed mostly lower on Thursday, while European stocks are losing ground. On the European economic front, data from Ifo Institute showed Germany’s business sentiment index declined more than what was predicted to 115.4 in February from 117.6 last month. Also, the UK economy expanded by 0.4% in the fourth quarter, down from preliminary estimate of 0.5%. 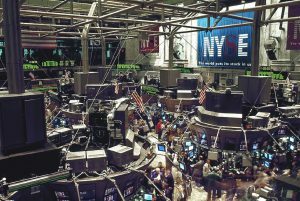 On February 21, US ended lower, with Dow down 0.7% to 24,797.78, Nasdaq tumbled 0.2% to 7,218.23 and the S&P 500 fell 0.6% to 2,701.33. Investors remained concerned after the Federal Reserve’s minutes indicated three interest-rate hikes in 2018, with the first one coming in March. The Fed lifted its expectations for inflation from weak levels and sees it reaching its 2% objective. Core personal consumption expenditures index is expected to rise notably faster this year, from 1.5% rate in December 2017. The Fed also said the economy was strengthening from late last year. 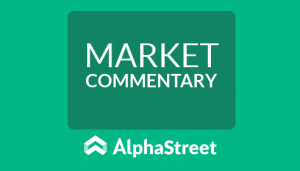 Meanwhile, other key economic data that will be released today include initial jobless claims, The Conference Board’s leading economic index and the Kansas City Fed manufacturing index. Fed Governor Randal Quarles, New York Fed President William Dudley, Atlanta Fed President Raphael Bostic, and Dallas Fed President Rob Kaplan are scheduled to deliver speeches. On the corporate front, Pandora Media stock rose more than 5% in the premarket after its fourth quarter revenue exceeded consensus driven by a rise in subscribers. Roku shares fell more than 20% after guiding first quarter revenue below Street expectations. Investors remain cautious after the Federal Reserve’s January meeting minutes and over future interest rate hikes. On the earnings front, Hormel Foods, Bloomin’ Brands, Shutterstock, Wayfair, Hewlett Packard Enterprise, HP, Intuit, GoDaddy, Wingstop, PPL Corp., Newmont Mining, Quanta Services, Apache, Edison International, Alliant Energy and Chesapeake Energy are the key companies due to release their earnings today. Crude oil future is down 0.34% to $61.47. Gold is trading down 0.53% to $1,325.10, and silver is down 1.095% to $16.435. On the currency front, the US dollar is trading down 0.57% at 107.124 yen. Against the euro, the dollar is down 0.02% to $1.2274. Against the pound, the dollar is down 0.12% to $1.389.